Being one of the most complicated groups in Lonicera (Caprifoliaceae) and distributed mainly in southern China, the Lonicera macrantha complex comprises five species, ie. Lmacrantha, Lmacranthoides, Lsimilis, Lhypoglauca and Lferruginea. The complex is also found to be the main substitute of Ljaponica for Jin Yin Hua in southern China. To clarify the relationships within the complex, investigation of morphology and habitat of each species, observation of microfeatures of leaf epidermis, and molecular phylogenetic analysis were carried out. The results show that only L. macranthoides can be easily distinguished by phylogenetic methods, and that the complex can be roughly divided into three groups based on morphological characters: Lhypoglauca is distinct in its mushroomshaped glands and long trichomes on leaf epidermis; Lferruginea is close to Lmacrantha in the thin trichomes, but they differ in length of corolla tube and stomatal structure; Lmacranthoides is morphologically similar to Lsimilis in the dense trichomes, but they can be distinguished by characters of cuticular membrane. Further studies on resolving the speciation and species dispersal within the complex are still needed. Since 1991, the word ‘arealtype’ has been frequently appearing in the literature of Chinese floristic geography. This word, which was originally intended to denote ‘area type’ or ‘distribution type’, is actually a wrongly coined term in English, very likely derived from the German word ‘Arealtyp’. To understand the intergeneric relationships in GentianaceaeSwertiinae and some infrageneric phylogeney, a total of 68 species and 1 variant of 14 genera were performed with maximum parsimony and Bayesian inference methods based on the sequences of the nrDNA ITS and chloroplast DNA matK regions. The results revealed that Swertiinae is monophyletic and Bartonia is determined as the most basal genus; Comastoma, Lomatogonium and Gentianella are not monophyletic and are located in one more derived clade; in Swertia, S. sect. Rugosa and S. sect. Swertia, also S. sect. Platynema and S. sect. KingdonWardia are most closely related; Jaeschkea is most closely related to Smacrosperma. Further more, the incongruence between the phylogeny were discussed based on the morphological and molecular data. Based on field observation and specimen examination, a new species of Orchidaceae, Bulbophyllum nujiangense, is described and illustrated. Bulbophyllum nujiangense is closely related to B. cylindraceum in sect. Brachystachya in having tufted plants, large leaf, long inflorescence, small flowers in raceme, and fleshy lip, but can be easily distinguished from the latter in having flowers deep purplish red and whorl well spaced along the rachis, lateral sepals adhere to each other slightly at base, elliptic petals with obtuse and mucronate apex, lip deep purplish red. A species of the genus Clematis, Cflavidonitida, belonging to Sect. Aspidanthera subsect. Dioicae, is described as new from Mexico. The morphological differences between it and its close ally, Cgrossa, are discussed. Environmental stresses on plants can be divided into short and longterm types, which may be associated with different adaptation strategies. Adjustment of the composition of membrane lipid is a major response to stress. The membrane lipid composition may different between short and longterm environment stresses. A previous study reported changes in the lipid composition in barley root under shortterm potassium (K+) deficiency; however, the equivalent response of plants to longterm K+ deficiency remains completely unknown. Plants of Arabidopsis thaliana and Crucihimalaya himalaica (Brassicaceae) were grown at four different K+ levels (51,051,0051 and 0mmol·L-1) for 18 days. Physiological and biochemical experiments were conducted on this issue and the results suggest that Chimalaica, a relative of Athaliana, derived from a K+deficient area, is tolerant to K+limited conditions. Electrospray ionization tandem mass spectrometry (ESIMS/MS) was used to determine the lipid changes in Athaliana and Chimalaica subjected to longterm K+ deficiency. The results showed that: (1) the levels of total lipids and most lipid classes in leaves of Athaliana and Chimalaica increased under K+deficient conditions; (2) the changes in lipid content in leaves of Athaliana and Chimalaica were greater than those in the roots; (3) the change in lipid content in leaves of Chimalaica was greater than that in Athaliana, with the opposite trend being shown in the roots and (4) in Athaliana, the increase in phosphatidic acid (PA) corresponded to the decrease in phosphatidylethanolamine (PE). This indicates that K+deficiencyinduced PA in Athaliana was derived primarily from PE. Our results suggest that, at the cellular level, plants adapt to longterm K+ deficiency by the accumulation of lipids in leaves and maintenance of the lipid composition in roots. Silique development plays an important role in the reproductive development of many species. In Arabidopsis, the seeds are contained within a silique, which is to photosynthesize in the early stages of development and the cell undergoes a programmed of senescence prior to dehiscence after silique riping. In general, degradation of membrane lipids is an essential process during plant cell senescence, however, the senescence of silique has not been reported. In the present study, the changes of molecular species in membrane lipids, the contents of membrane lipids, relative levels (%), and the doublebond index (DBI) during the senescence of siliques were examined in wildtype Arabidopsis (ecotype Wassilewskija; WS) and an Arabidopsis mutant deficient in phospholipase Dδ (PLDδKO). PLDδ is correlated closely with lipid metabolism in Arabidopsis. The present study revealed that during the senescence of siliques of Arabidopsis: (i) levels of both extraplastidic and plastidic lipids decreased significantly; (ii) the degradation of lipids did not occur at the same rate for different lipid species, the rate of decline in levels of plastidic lipids was more rapid than that of extraplastidic lipids; (iii) the DBI of total membrane lipids decreased; and (iv) in siliques of the PLDδ mutant plants, the levels and variations in the levels of membrane lipids were similar to those observed in siliques of WS. These results suggest that severe degradation of lipid molecular species occurred during Arabidopsis silique senescence. Our findings suggest that (i) the products of hydrolysis of membrane lipids may be transferred to seeds for the synthesis of triacylglycerols for lipid storage; (ii) the decline of DBI of total membrane lipids might be caused by the dramatic degradation of plastidic lipids and the relative increase of extraplastidic lipids; and (iii) PLDδ is involved in the metabolism of membrane lipids during silique senescence. Injury caused by imbibitional chilling is a common phenomenon during rehydration of desiccated seeds, and usually causes seriously compromises seedling emergence and crop yield. Restoration of the cell membranes is a critical event during imbibition, moreover it is very important in responses to water and temperature stress. However, the changes in membrane structure during seed imbibition, especially those related to membrane fluidity, have yet to be investigated. This study compared changes in the level of unsaturation of membrane lipids (doublebond index, DBI) between chillingtolerant ‘LX’ and chillingsensitive ‘R5’ soybean cultivars during imbibitional chilling. After imbibition at normal temperature (25℃), seeds of LX and R5 showed similar changes in the level of lipid unsaturation, with increased DBI values for plastidic lipids and reduced levels of extraplastidic phosphatidylglycerol (PG). In contrast, there were dramatic differences in the changes of DBI between LX and R5 following imbibition under chilling conditions (4℃). Chilling only delayed the increase of plastidic DBI in seeds of the tolerant cultivar LX, whereas plastidic DBI did not increase or even decreased in the sensitive cultivar R5 under these conditions. Priming of seeds by incubation in 33% polyethylene glycol (PEG) did not directly cause changes in DBI, however, the subtle but significant changes in DBI that it induced prepared the soybean strain for germination. Plastidic DBI increased during phases II and III of germination in PEGosmoconditioned R5 seeds under imbibitional chilling stress; this increase was similar to the patterns of increase in DBI of LX. Our results suggest that chilled imbibition delays or prevents the increase of the degree of unsaturation in plastidic membrane lipids, that tolerance to imbibitional chilling in soybean is positively associated with an increase in the level of unsaturation of plastidic membrane lipids, and that increased plastidic DBI could improve tolerance of imbibitional chilling. Brachypodium distachyon, recently developed model system for temperate grasses, exhibited many traits with cereal crops and proposed to be an experimental system to access the biological approach. These traits have shown a surprised degree of phenotypic variation in many collected accessions. Like some important economical cereals, Bdistachyon also belongs to subfamily Pooideae, which make it become an unquestionable model system to research the economically important crops, such as wheat, barley and several potential biofuel plants. Recently, genome sequence and annotation of Bdistachyon has been finished. Associated with the development of the functional genomics and other experimental resources establishment, Bdistachyon will provide a key resource for improving cereal crops and facilitate the approach of sequence analyze gene expression and functional resources available for a variety of species. In this article we review and assess the current progress of Bdistachyon as a model system and then focus specifically on recent studies of comparative genomics, biological improvement, transformation and TDNA mutations. Paphiopedilum micranthum is an endangered pink slipper orchid mainly distributed in the limestone areas of southwestern China. Wild populations of this species have been seriously threatened by excessive collections, rampant smuggling for export, and habitat destruction. We used 15 ISSR markers and 11 SRAP markers to investigate the genetic diversity and structure of 15 natural populations. A high degree of diversity was observed at the species level (ISSR: PPB=9166%, He=03839; SRAP: PPB=9929%, He=02806). Certain degree of genetic differentiation among populations (ISSR: Gst=02577; SRAP: Gst=02383) was detected maybe caused by low gene flow (ISSR: Nm=07201; SRAP: Nm=07991). Consistent with the results of Principal Coordinate Analysis, the UPGMA dendrogram analysis divided the 15 populations into two main clades. In addition to geographic distance, the difference in elevation was another natural factor contributing to this differentiation. Knowledge about genetic diversity and structure gained from our study will be beneficial for the development of reasonable and efficient strategies to conserve this endangered species. Three types of intermediate morphological individuals were found in the sympatric distribution areas of Ligularia vellerea and Lsubspicata. These intermediate individuals were hypothesized to be the hybrids of these two species based on the detailed comparison of their morphological characters. To test this hypothesis, we compared the DNA sequence of Lvellerea, Lsubspicata and the intermediate individuals by using the internal transcribed spacer region of nuclear ribosomal and atpBrbcL intergenic spacer region of the chloroplast. Direct sequencing of ITS clearly had additives and then cloned sequencing cloned out two kinds of sequences that were identical to those putative parental species, thus these putative hybrids were approved. With different morphological characters among three types, their plastid donors were all Lsubspicata according to the maternal sequences of atpBrbcL. Measurement of nuclear DNA content of bamboos (2Cvalue) is important for scientific research. Sample preservations were required for nuclear DNA content estimate using flow cytometry method, when plants tissues were collected from remote areas. Three bamboo species (Dendrocalamus latiflorus, Chimonobambusa tumidissinoda and Acidosasa purpurea) were selected in this study. Samples were treated with two preservation methods and nuclear DNA contents were estimated by flow cytometry after four days, eight days, twelve days and sixteen days, respectively. Coefficient of variation (CV) was an indicator of sample quality which affects the accuracy and precision of DNA content estimates. Differences in nuclear DNA content (2Cvalue) and variations in CVs were analyzed to evaluating the effects of two preservation methods and storage time. Univariate ANOVA analysis revealed that CVs were influenced by storage time significantly (P < 0001). Besides, differences of 2Cvalues between preserved tissues and fresh tissues were influenced by preservation methods significantly (P < 0001). CVs were increasing when time elapsed. After short time preservation, nuclear DNA contents generated from dried tissues were higher than those from fresh tissues, while nuclear DNA contents generated from fixed tissues were lower than those from fresh tissues. We concluded that data quality decreases along with the preservation time increases, expressed as higher CVs. Silica gel desiccant treatment and sample protector treatment could contribute to variations in 2Cvalues of bamboos and the changes of 2Cvalues were lower than 10%. Ginseng genus Panax, a member of family Araliaceae, consists of about 11 species in total. Most species of this genus are applied as tonic and medicinal plant resources. In this article, the genome size (CValue) of four ginseng species was estimated by flow cytometry using Oryza sativa as the internal reference. The results revealed that the CValues of four species are different from each other, and the CValue of Pnotoginseng is the largest, while the CValue of Pstipuleanatus is the smallest one. The potential distribution of Bletilla striata and its climate characteristics was predicted with MaxEnt model and ArcGIS. The data was based on the information of geographic distribution of the plant and its dominant climate factors. The results showed that the model built by dominant climate factors had an ideal forecasting effect, which was tested by the ROC curve (AUC > 09). The model revealed that the potential distribution areas were mainly in the south of the Qinling Mountains and Huai river. The major suitable provinces for the plant were mainly restricted to Yunnan, Hubei, Sichuan, Hunan and Jiangxi. A jackknife test in MaxEnt suggested that Min temperature of Apr(tmin4), Min temperature of Oct (tmin10), Temperature annual range (bio7) and Precipitation of Nov (prc11) were the most important climate variables affecting the potential distribution of the plant. The results can provide some theoretical basis for the resources protection, germplasm collections and reasonable development and utilization of wild Bletilla striata. To clarify which agroclimatic requirements control the sequential occurrence of flowering and leaf unfolding in hysteranthous plants, Partial Least Squares (PLS) regression analysis was used to identify the chilling and forcing period of leaf and flower buds. The Dynamic Model and the Growing Degree Hour Model were applied to estimate the chilling and heat requirement for leaf unfolding and flowering, based on the phenological records of apricot and mountain peach and daily maximum and minimum temperature data in Beijing during 1963-1988. 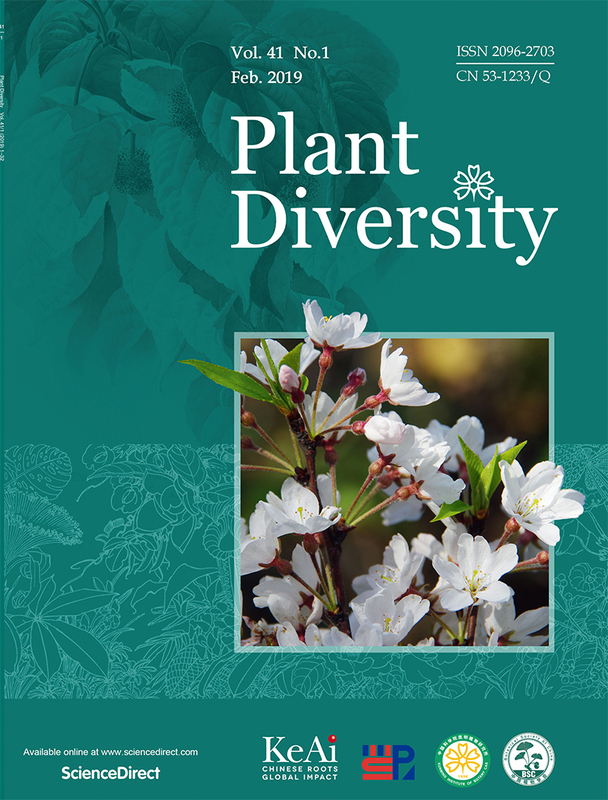 The results indicated that PLS regression analysis is a useful approach to calculate the chilling and heat requirements of plants when long term phenological observations are available. Leaf and flower buds were found to have similar chilling requirements but different heat requirements, which explained the earlier occurrence of flowering compared to leaf unfolding. The heat requirements of flower buds of apricot and mountain peach were 28297±8762 and 14572±5812 Growing Degree Hours, respectively, while heat requirements of vegetative buds were almost twice as high. 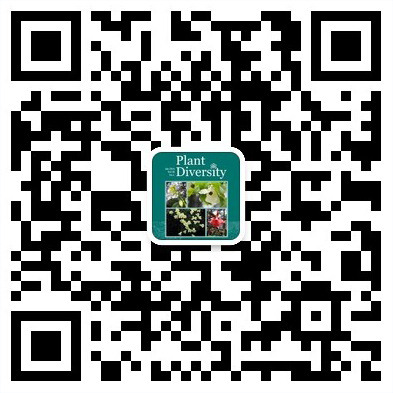 In view of the importance and usefulness of phenological observations, specieslevel ground observations in China should be continued and extended. The orchid speices Gastrodia elata is a valuable traditional Chinese medicine and has been widely applied for treating a variety of diseases. The yield of wild Gelata is very limited since its vegetative growth is exclusively dependent on its symbiosis with the fungus Armillaria mellea, from which Gelata is able to obtain nutrients from rotten wood in the forest. To develop a standard for cultivating Gelata in large quantities, four factors that may influence the yield of Gelata need to be further investigated, including cultivation environment, inoculation volume of Armillaria, wood from different tree species, and the effect of fertilizer on the maturation of Gelata. To optimize these factors, a largescale orthogonal experiment was performed in the farmland of Xiaocaoba, Zhaotong, Yunnan Province. Among the four factors tested, inoculation of Armillaria played the most important role in the maturation of Gelata. The yield of mature tubers, in terms of both tuber weight and quantity, on open ground is greater than that in forested areas. Of the 12 tree species tested, Dipentodon sinicus stimulated the largest amount of growth of Armillaria and produced the greatest yield of Gelata in the farmland. In comparison to the other factors tested, fertilizer showed no effect on the yield of G-elata. For many years, traditional knowledge, techniques and knowhow have been applied in the process of fermentation of traditional liquor and also in the process of making its starter culture by Miao ethnic group who lives in Leigongshan Mountain, Southwest China. To protect liquor culture of Miao people, and in order to document and transmit it from generation to generation, we have conducted a series of surveys on the techniques and the process of brewing traditional liquor and making starter culture; and we have documented the plants which have been used for starter culture via ethnobotanical and taxonomical approaches, such as key informants interview, participatory rural appraisal, and ethnobotanical inventory. It has been demonstrated that the traditional liquor in Miao communities resembles other Xiaoqu alcoholic in terms of both the producing process and techniques. Thirtyfive species of plants used in starter culture, which belong to 19 families and 28 genera, were identified and inventoried. Piloselloides hirsuta (Asteraceae) and Indigofera bungeana (Fabaceae) are the most frequently employed ones among all of the plants. Fresh and tender stems, leaves, or shoots of the plants are parts of plants which are used to make distiller’s yeast; while the whole plant is barely used. The traditional knowledge associated with starter culture would fail to be handed down in a few decades, due to erosion of modernization and losses of young (female) labor and the ethnic language as well. More researche should be carried out as soon as possible to promote liquor culture of Miao people, e.g. census on plants in starter culture and valuation of its biological activities.